With the Asia Cup fast approaching, there is plenty at stake for all the teams participating. Each team will want to dish out various combinations and give chance to every player as a bid for preparation to the 2019 world cup. With the organizers falling back to the 50 over format, let us look at five potential players who can prove to be game changers and be an asset to their team this time. Fakhar Zaman has been in red-hot form for the past few months. He ripped apart the Zimbabwe bowling attack and notched up his country's first double hundred when they toured Zimbabwe. Even though he may have scored against Zimbabwe that innings was full of style and class. He went past his country's great Saeed Anwar who held the record of the highest ODI score for Pakistan for a long time. He was subsequently adjudged the Man of the Series too. He broke various records in that series by becoming the fastest to reach 100 runs going past VIV Richard's record. He achieved it in 18 innings. He is surely a player to watch out for as he can give a blistering start to Pakistan at the start along with Imam-ul-Haq. KL Rahul has found form in the last innings of the India England Test Series. The swashbuckling opener scored a flawless century in the final innings of the series. He has somehow not been able to cement his spot in the ODI side. He has been tried out at various positions but none has worked so far. The Indian management will be keen to see him perform as he can be a game changer in his day. 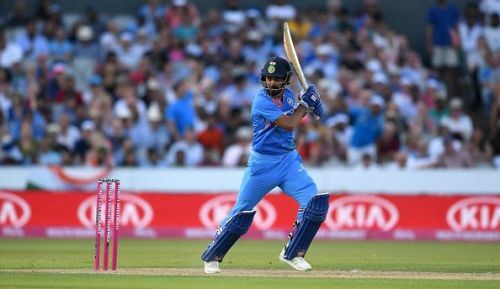 Blessed with a solid technique and high backlift, he can tare apart any bowling line-up in the world as we witnessed in the limited overs series in England. He was also in great nick in the IPL. He can additionally keep wickets too. He is a player to watch out for this Asia Cup and he would want to make a statement to the selectors.